Here I’ll be reviewing Callaway’s Great Big Bertha game-improvement driver, designed to provide an optimal balance of high ball speed/distance across the face and high-calibre forgiveness. Its modern technologies, advanced aerodynamic design and adjustable perimeter weighting allow for a great deal of flexibility that can accommodate golfers of all skill levels and shot types. So, is the Great Big Bertha a definite step up over the previous model V Series? Is it worth its price tag? Where does it shine and where does it lack? Read on to find out what you need to know to make an informed purchase. 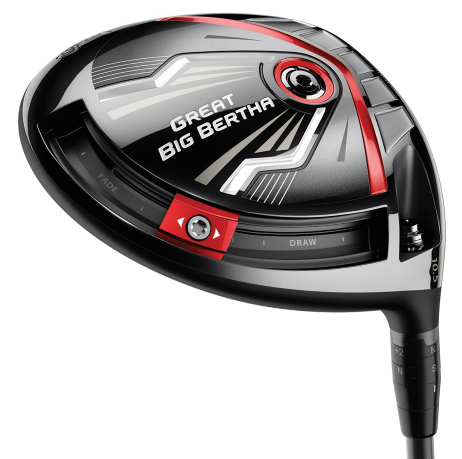 The Great Big Bertha driver has received fantastic ratings since its debut. It has a 4.4/5 aggregate rating on Amazon, a 4.8/5 rating on Global Golf, a 4.8/5 (168 reviews, 94% recommended!) 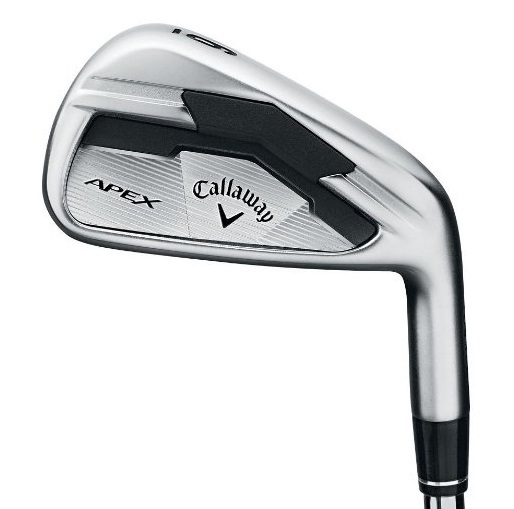 on the Callaway website, and has been given top ratings by most professional critics. It won a gold medal on the Golf Digest Hot List for 2016. The GBB has been lauded for its super-hot face and length, incredible forgiveness (even with ball flight adjustment options), solid look, and adjustability. People also love the light weight, stability, and hot, explosive feel at impact. In terms of negatives, there’s not much to say other than the fact that the alignment aid on the crown is a little bit difficult to see, and also the fact that an incorrect shaft choice can lead to poor results. Some have complained about the price of the driver, although it has dropped considerably as of late 2017. Next Gen R•MOTO Technology: The next generation of Callaway’s R•MOTO provides the structure for a thinner face; this results in a more efficient transfer of energy and an increase in ball speeds on both center and off-center hits. It also enables the center of gravity (CG) to be moved lower and increases moment of inertia (MOI), which leads to more forgiveness. Light, Stable, Multi-Material Chassis: An optimal combination of an aerodynamic head shape with a multi-material lightweight club design generates higher clubhead speed through aerodynamics and a wide range of weight classes (295g to 325g) available to suit every swing type. Adjustability: A 10g sliding weight on the perimeter of the clubhead adds stability. This weight can be slid around the clubhead to dial in the shot shape bias (draw or fade) that works best for you without sacrificing forgiveness. There is more draw bias available than ever before. Along with the weight track on the sole, the Optifit hosel adds another layer of adjustability, letting you choose from 8 different configurations to tune loft, lie, and face angle. 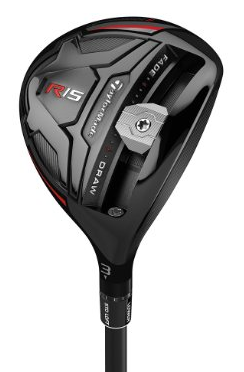 Below you can find information on stock shafts as well as specs for the men’s and women’s versions of the driver. Click or zoom to enlarge. Distance: After spending a bit of time tuning the weight and adjustable settings to my swing, I was able to get terrific distance results with the Great Big Bertha. I was hitting it longer than the V Series driver and, in fact, it’s a contender for the longest driver I have ever hit. I’m not alone in this sentiment either. The thin face and chassis design really make a difference here. In comparison with the V Series driver, the GBB produces quite a bit less spin, resulting in a much hotter shot with more rollout. Keep in mind that you might not be satisfied with the distance right off the bat; if that’s the case, experiment with the settings on the driver until you’re able to optimize your ball flight and distance. If you change the face angle, do remember to adjust your alignment to compensate. Forgiveness: The Great Big Bertha driver tends to forgive around the natural ball flight that your swing and the driver settings produce. What I mean by this is that if you have the driver set to hit a high, slight draw, for example, mis-hits won’t stray from this flight much at all unless you make terrible contact. In relation to other game-improvement drivers, I’d say the forgiveness of the GBB is definitely up there as one of the most forgiving I’ve tested, both in terms of direction and distance on off-center hits. Playability/Trajectory: A typical ball flight when the Great Big Bertha is in the neutral setting is a slight draw, with a mid launch and a mid-low spin rate. 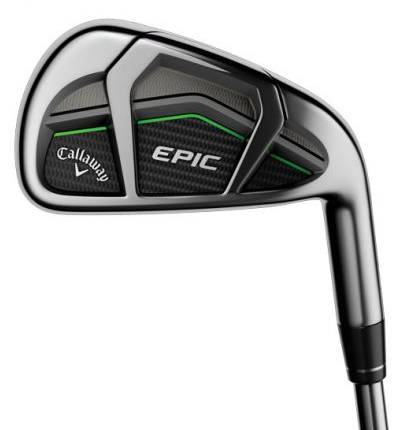 It has a slight draw bias because Callaway found that most people weren’t adding fade bias in the original Big Bertha, implying that a lot of people need help hitting a draw instead of a fade. When it comes to playability, the GBB yet again fails to disappoint: it’s very friendly to beginners and high-handicappers. I certainly had no trouble hitting great tee shots, and I imagine practically anyone could hit this well. Assuming fixed adjustable settings, competent golfers should be able to work minor draws and fades if they want. Look: The Great Big Bertha may be 460cc, but it actually looks smaller than many 460cc drivers (like the XR) at address; some will regard this as a positive, but not all. The forged composite crown has a matte black finish with a chevron alignment aid, and is otherwise pretty plain. The weight track on the sole runs much farther towards the heel than the toe, accommodating golfers who want to turn a nasty cut into a straight ball or draw. All in all, it’s a pretty nice look that should appeal to many. Sound and Feel: When you have a suitable shaft, the Great Big Bertha generally feels light, stable and balanced through the swing. I find that the feel enables you to make your best swing every time. It produces a hot, explosive “crack” through the ball that’s super satisfying and that most would say is a definite improvement over previous similar driver offerings from Callaway. Hits towards the heel and toe feel decent. Callaway has never been known to disappoint in the feel department, and the GBB is no exception. The Great Big Bertha driver has been out for a little while, and so new ones are a bit difficult to find. Your best bet would probably be to look on Amazon here or on this eBay page for the configuration you’d be most interested in. If you’d rather save some money and get a used Great Big Bertha driver, take a look at this Global Golf page; “very good” and “value” condition drivers are currently in stock. You can find awesome bargain deals on this eBay page. The Great Big Bertha is one of the best game-improvement drivers Callaway has ever come out with; this is the general consensus in the golf community, and my testing of the driver verifies it. Distance is its greatest strength, but forgiveness, feel, and playability are excellent as well. Not only can hacks and high-handicappers do great with it once it’s properly adjusted to suit their unique swing, but golfers of pretty much any skill level can as well. It’s more than enough of an improvement over the V Series and the original Big Bertha to hold its own as a proper successor. The only thing I would say is if you’re a high-skill golfer and/or your natural shot shape is a draw, you might be better off looking at other options. Feel free to leave your thoughts and opinions about Callaway’s Great Big Bertha driver in the comment section below!